Peaceful small touring caravan site - Award winning CL for 2015, 2016 & 2017! We welcome well behaved dogs and we now have a small paddock for them to run off the lead. Dogs must be kept on a lead when not in the paddock (as we have sheep & hens). 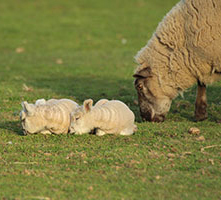 Enjoy watching the animals graze and play & the local wildlife. There are lots of attractions including York Maize, Jorvik Viking Centre, York Dungeon, York Designer Outlet, Yorkshire Air Museum etc. 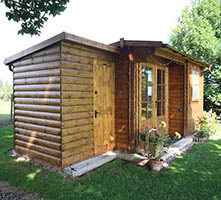 Peaceful touring caravan site with level Pitches - Located a mile from a small village in a rural location, 8 miles South of York. Well behaved dogs welcome! 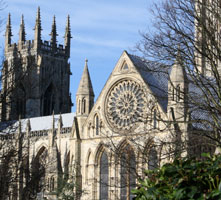 Visit the historic City of York with plenty to see including York Minster, Jorvik Viking Centre, Castle Museum, York Dungeons to name a few. Sit back and watch the animals entertain you or simply give you some 'awe' moments. 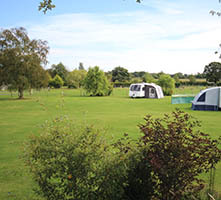 Spacious pitches include electric hook-up and awning.